"Norbert, the Internet's Most Popular Therapy Dog, Wrote a Book So You Can Be a Hero Too"
"Norbert the Therapy Dog Plans California Dream Trip for 6-Year-Old Fan with Rare Neurological Disorder"
"How 3 Pounds of Fluff Can Change a Life: Meet Norbert the Therapy Dog!" "Pets who have won the internet"
"This Tiny Therapy Dog Is REAL And Loves Giving People High-Fives"
"Norbert is the coolest dog on Instagram"
"Three-pound Norbert is one of the internet's most popular therapy dogs." "3-pound dog helps write real-life Cinderella story"
"The tiny pup teaches big lessons through his series of children’s books"
"22 Times Norbert The Therapy Dog Warmed Your Heart"
"What Dogs Can Teach Us About Being More Zen"
"One Tiny Treat And One Pint-Sized Pup Gave This Little Boy Battling Cancer His Best Day Ever"
"Norbert the World's Cutest Therapy Dog"
"This tiny dog is making a huge difference"
"Meet Norbert, a special little dog with the ability to spread love and smiles wherever he goes." 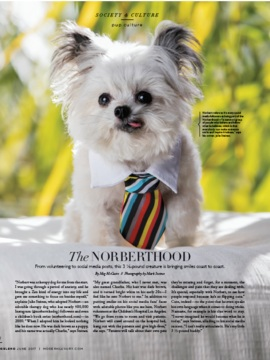 "Norbert is living proof that you don’t have to be big to make a big difference. " "We are obsessed with this little guy..."
"13 Dogs You Need to Follow on Social Media for National Dog Day"
"...in just 15 hours, they exceeded their Kickstarter goal and raised more than $30,000 to make the dream book into a reality." "The Best Dog Accounts on Instagram"
"Norbert the dog is high-fiving at Fashion Week"
"...Norbert, a 3-lb mixed breed therapy dog (with the cutest little wiggly tongue and floppy ears). Of course, he played a role in the nuptials." 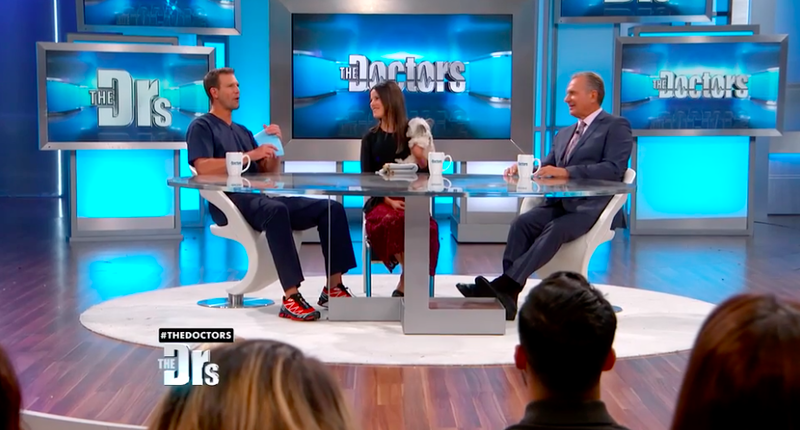 "Three-pound Instagram star and therapy dog Norbert is here to answer your questions LIVE!" "Spread Happiness With a Norbert Plush Toy"
"16 Instagram Dogs That Should Have Their Own TV Shows"
"Julie Steines Interview with Social Media Sensation & Therapy Dog, Norbert"